In 1991, renowned New York dermatologist Dr. Howard Sobel founded DDF, Doctor's Dermatologic Formula, to enable his patients to care for their skin at home. 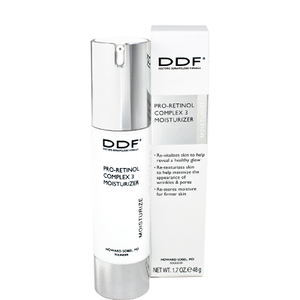 Inspired by dermatologic approach and expertise, the DDF skin care system is designed with advanced protocols targeting one or more specific skin concerns. This skin care collection contains some of Sobel's signature ingredient blends and is designed to help people everywhere benefit from the Doctor's treatments. Drawing on his background as a dermatologist, Dr. Howard Sobel, developed an innovative collection of skin care formulas carried by the brand known as DDF, or Doctor's Dermatologic Formula. Understanding the risk of possible unpleasant side effects through the use of strong clinical formulas, Dr. Sobel took the time to discover unique ingredient blends that would produce desired results without disrupting the skin's existing state of health in a negative way. He did so while keeping in mind that everyone's skin is unique and requires specialized care that addresses individualized needs. Breaking his products up into categories, he has come up with five innovative groupings: The Clarity Collection, The Purity Collection, The Timeless Collection, The Nourishing Collection, and The Radiance Collection. Each one of these assortments addresses one of the specific needs experienced by different skin types throughout life. 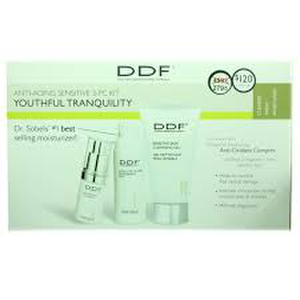 Toward that end, each formulation within the DDF brand is blended to encourage a renewed state of health for skin that is suffering from early aging, severe aging, breakouts, sensitivity and skin discoloration. 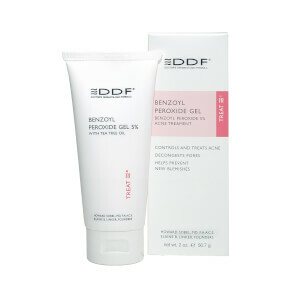 Creating a personal regimen of skin care solutions from DDF collections is simple and effective. Each of the products has been formulated with unique skin types in mind, so you can easily put together a quality routine. The formulas contain active ingredients that deeply nourish as well as soothing components that pamper your skin. Everything you need to encourage radiant skin is found within this brand, including cleansers, exfoliators, masks, acne treatments, toners, moisturizers, eye products, and treatments. Dr. Howard Sobel is a Manhattan-based dermatologist who regularly appears in beauty publications and on television to share his skin care expertise. He has an intimate knowledge of what concerns patients, and which therapies will be most successful. 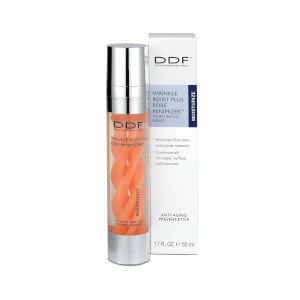 In 1991, he launched DDF - Doctor's Dermatologic Formula - the first comprehensive skin care line developed by a doctor. 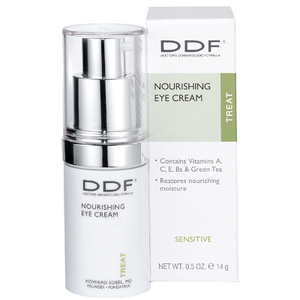 DDF Products are renowned for targeting the source of skin conditions. Three common conditions include free radical damage, plugged pores, and dry skin. To combat free radical damage, which prematurely ages your skin, Dr. Sobel has infused his formulas with antioxidants. Antioxidants halt this cell breakdown, and boost your skin's health and appearance. 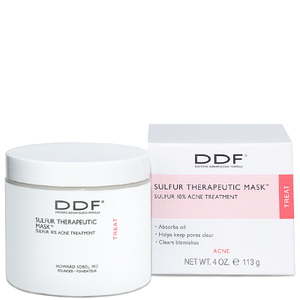 To treat plugged pores, Dr. Sobel's DDF Products are much more than topical ointments. They contain exfoliating agents to gently remove dead skin cells and excess sebum, as well as promote cell turnover for more radiant skin. Dry skin is also a common complaint that requires more than just moisturizing the surface of your skin. 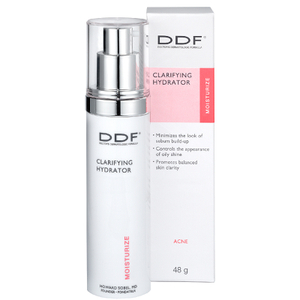 DDF Products include ultra-hydrating ingredients to penetrate the skin and create a moisture shield, which minimizes lines and gives a noticeable lift to your visage. 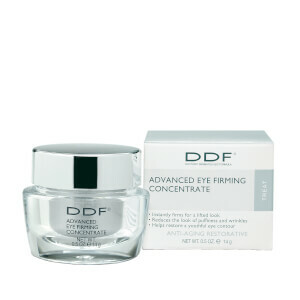 Whatever your skin concern is - acne, hyperpigmentation, loss of elasticity, wrinkles, or overall sensitivity - DDF Products deliver key ingredients that treat your root causes and re-energize your skin. Want to shrink your pores and make your wrinkles less visible? 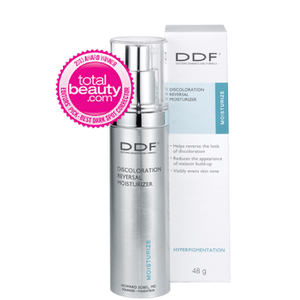 Try the DDF Glycolic 10% Toning Complex. The glycolic acid promotes cellular turnover, so you can clear pore-clogging debris and reveal a more glowing, youthful complexion. This toner is recommended for those with mature and oily skin. 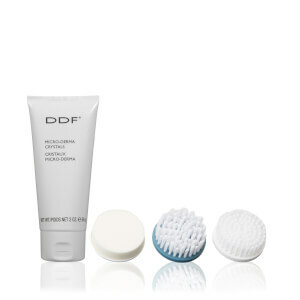 To use, soak a cotton pad with the DDF Glycolic 10% Toning Complex and gently sweep it across your skin. To treat an acneic complexion, the toner can be used several times a day. Do you want to replenish the moisture in your skin without triggering breakouts? 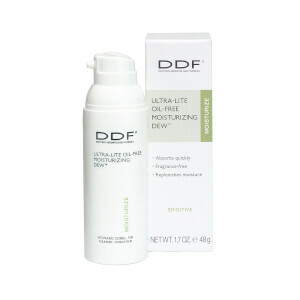 The DDF Ultra Light Oil Free Moisturizing Dew is an ideal daily hydrator for your face and body. The key ingredients, including aloe vera, grapeseed, and vitamins A, E and C, are deeply nourishing for even the most sensitive skin. The formula is free of dyes, fragrance, lanolin, and oil. Are you looking for a treatment that instantly firms your face, neck and décolleté? 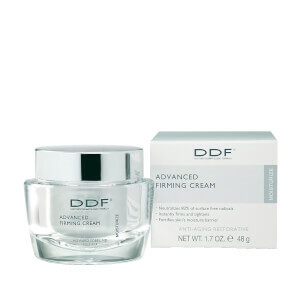 The award-winning DDF Advanced Firming Cream is infused with the exclusive Tumeric Complex. This breakthrough key ingredient neutralizes 82% of free radicals and, along with the hydrating minerals zinc and copper, significantly improves the appearance of your skin. Immediate results include skin that is firmer, tighter, and smoother. Apply nightly to clean skin.